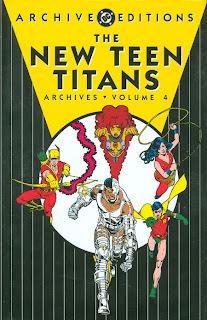 Of the four volumes of the modern New Teen Titans Archives, this fourth volume is by far my favorite. I have been impressed with Marv Wolfman and George Perez's use of "years" in these volumes -- every twelve issues have had something of a common tone and a beginning and ending climax. In this fourth volume, Wolfman and Perez close out the second year with the advent of Brother Blood and an attack by Starfire's sister Blackfire; the third year brings with it the start of Robin and Starfire's relationship, and appearances by a mysterious girl later known as ... Terra. There's such fantastic pacing in this book, and such a sense of coming possibility, I was riveted the whole way through. Throughout the volumes, the writers have visited and re-visited the question of whether heroes should kill, and I'm remiss not to have mentioned it before now. Here, Brother Blood kills Cyborg's childhood girlfriend, and he and Starfire seek vengeance over Changeling's protests when they think the other Titans have been murdered; in space, the Titans fight a war against the Citadel alongside the Omega Men, and it's suggested the Titans do kill, if unwittingly, in a number of hectic battles. 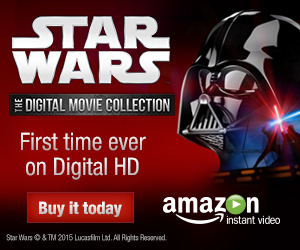 I appreciated here how Wolfman and Perez challenge cultural relativism. Sure, killing your enemies is forbidden in Gotham City, but that's not necessarily the case on Starfire's warrior planet of Tamaran. Similarly, what stands in the course of catching super-villains isn't necessarily the case for soldiers drafted into a full-fledged war. The writers contract the Titans' attempt to hold on to their morality with the increasing violence of the district attorney Adrian Chase, just one of many intricate plotlines being weaved together in these pages. Another storyline that comes to fruition is Robin admitting his affection for Starfire. Perhaps Nightwing and Starfire have been such a constant in the DC Universe since I've been reading comics that the start of their relationship never occurred to me. Over the first two years of New Teen Titans, without too much melodrama, Wolfman and Perez portrayed a Starfire who might love Robin if not for her own naivete, and a Robin who might love Starfire if not for his inherit distrustfulness, and very slowly brought the two characters together. We see now the importance even of Starfire's relationship with Franklin Crandell way back in volume two, turning the Robin/Starfire romance "off" for an issue without making a big deal of it having been "on." The page of Cyborg and Kid Flash discussing Robin and Starfire's relationship as the team returns from space reinforces how important this change is to the team. Once again, this fourth volume suggests so much to come in the future; it must have been terribly, terribly exciting to read these issues as published. I noted in this volume a shift in the public's perception of the Titans, caused mainly by Brother Blood's machinations. I remarked in an earlier review how amazing it was that no one distrusted these Teen Titans solely because of their age, as would be standard with any current teen group; here, that very mistrust begins to come to light. It suggests the end of a more innocent era for the "new" Teen Titans, carrying over from when they were just the Teen Titans proper; surely, once Terra comes on the scene, the innocence of teen groups will be ruined but good. This fourth volume of the New Teen Titans Archives is the last volume, perhaps, because the story continues in paperback in New Teen Titans: Terra Incognita. Unfortunately, there's three uncollected issues between Terra Incognita and The Judas Contract (#35-37; #38 appears in New Teen Titans: Who is Donna Troy), so an uninterrupted reading of New Teen Titans ends right after. Still, what we have here are stories which are not only captivating, but still hold up as paragons of storytelling thirty years later.